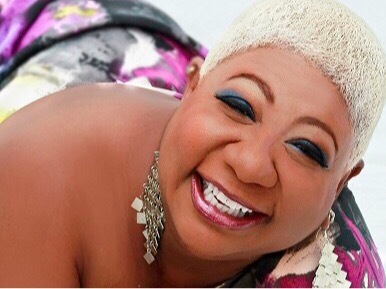 Comedienne/actress Luenell has become the current Queen of Comedy, the one to go to for a female comedian that will bring a powerful fan base. As she said, lots of people want to come out to hear her but can’t, so a live album is the next best thing to being there. Well, Luenell is adorable in her own right. Her wit is quick and her attention to detail makes her content superb. That style of comedy has garnered her acting roles in many films such as the “Hotel Transylvania” and “Taken” movie franchises. 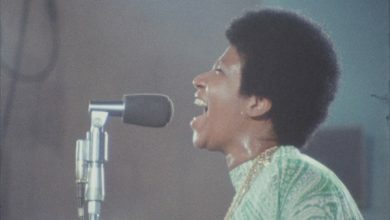 She also appears in the film “A Star is Born” starring Lady Gaga and in Netflix’s “Dolemite Is My Name,” which stars Eddie Murphy in the title role. Luenell was also tabbed to host the second annual LOL Comedy Honors at New York City’s Gotham Hall on Nov. 1, though the ceremony was indefinitely postponed. 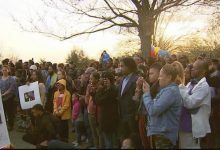 The event, which honored her last year, was scheduled to feature appearances by comedic giants Nick Cannon, Chris Rock, Tracy Morgan, Dave Chappelle, Paul Mooney and Earthquake. “I’ve been on tour for a couple of years. I put it out there that I’d love to host and they said, ‘Oh, that’ll be great,'” Luenell said of the hosting gig. 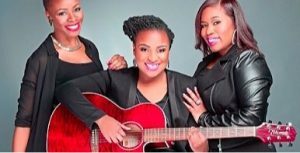 Contemporary gospel trio God’s Chosen, also known as GC3, recently released a self-titled album on Dream Gospel/Capitol Christian Music Group that reached #11 on the Billboard Current Gospel Albums Chart. Sarah Benibo, Zabrina Anderson and NiKeisha Whittier, who make up God’s Chosen, have been singing the gospel in a contemporary way since before high school. The group’s latest release is its first in five years. “From 2013 to this album … I’ve learned … it’s not about putting a song out, but about what we are trying to say,” Benibo said. The “God’s Chosen” album inspires, not only with its words but its superb music. Producers on the project include John Strandell, Levi “Too” King (James Fortune) and Ayron Lewis (Kirk Franklin). The girls grew up in the church and attended school together, but went to different colleges. As they matured, their lives took different paths, as well, but the common path they still had was spreading the gospel through song.